Be prepared to demonstrate Student status at the site. 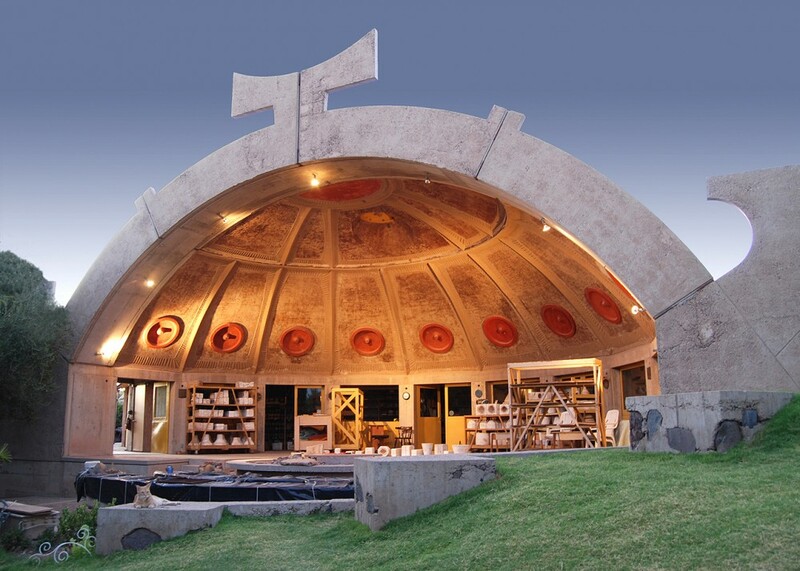 A unique opportunity to visit Paolo Solari’s Arcosanti for those arriving early to the Annual Meeting on Friday! Those interested, please register on this website and assemble at Taliesin West at 12:45 PM. We will caravan to the site in personal vehicles and depart Taliesin West at 1 PM (sharp). Alternatively, you can also meet directly at Arcosanti at 2:30 PM. The tour begins at 2:30 pm and lasts 1.5 hours. This tour qualifies for 1.5 AIA LU/HSW Hours. The tour will be conducted by a member of the Arcosanti Planning Department and consists of the general tour plus a tour of the planning office, current construction, and a special session on design development with models and drawings. RSVP: If you plan to meet us at the Arcosanti site and not caravan from Taliesin West, please send WCAPT an email at info@wcapt.org. Location: Cordes Junction is approximately 1 hour 15 minutes north of Taliesin West. Click on "Arcosanti" for location. Dinner: Dinner on Friday will be an informal gathering at a local restaurant, location and time to be determined, or on your own. · If you cancel more than 14 days of scheduled event, a fee of 100% of ticket cost will be charged for each participant. · If you cancel within 14 days of scheduled event, 50% will be provided.